(Charles Krupa | AP file photo) FILE - In this Feb. 16, 2019, file photo, Mayor Pete Buttigieg, of South Bend, Ind., smiles as he listens to a question during a stop in Raymond, N.H. Buttigieg made his Democratic run for president official during a rally later Sunday, April 14, in the city where he launched his political career less than a decade ago. South Bend, Ind. 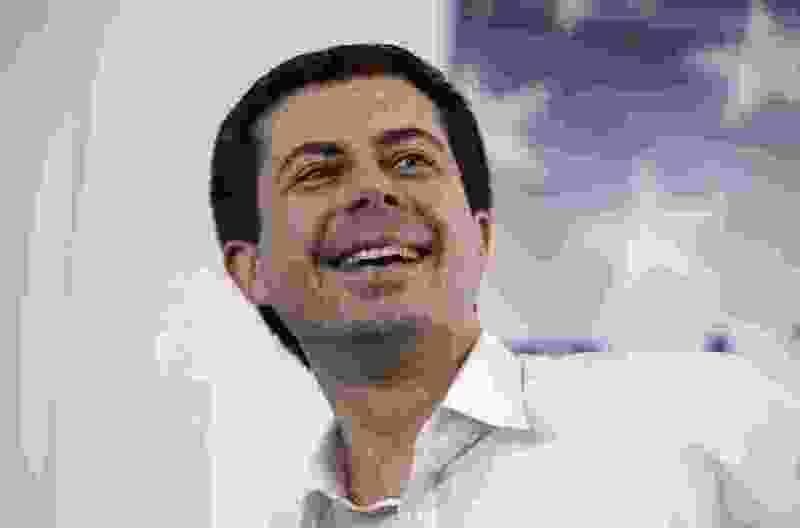 • Pete Buttigieg, the little-known Indiana mayor who has risen to prominence in the early stages of the 2020 Democratic presidential race, made his official campaign entrance Sunday by claiming the mantle of youthful generation ready to reshape the country.